Post Daylight Saving Time: Is reduced sunlight exposure sapping your energy? 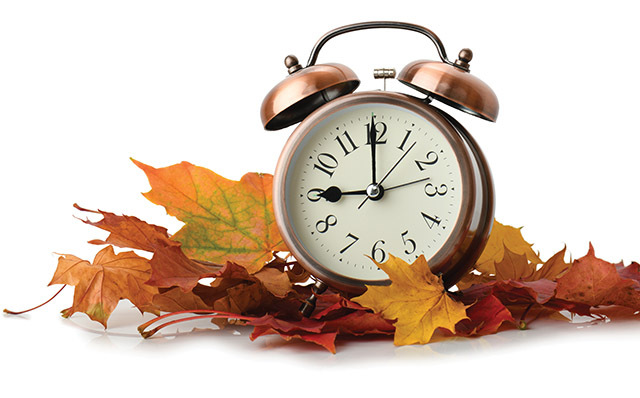 When we turn the clock back this month, most of us are just glad to get the extra hour of sleep on Sunday morning, but the aftereffects of this small, but significant disruption of our inner clock, or circadian rhythm, can last for days and weeks afterward. We humans, like the rest of the natural world, are much more attuned to seasonal changes in the levels of sunlight and darkness we experience than we sometimes realize. Sunlight triggers your sleep and wakeful patterns. Along with that “extra hour” of sleep you might get the morning after DST, you also get an hour less of daylight in the evening. Think about the feeling you get when you have to turn on your headlights driving home from work for the first time since last winter. You also might notice that your pre-dinner workout suddenly seems far less appealing than curling up on the sofa for a snooze. Your sluggishness, post DST is no mystery. When it gets dark earlier you are exposed to less sunlight. You feel tired earlier because the amount of sunlight that is detected by the retina of your eye, regulates the amount of “sleep hormone,” melatonin that is released into your bloodstream. No matter the time on the clock, when your body produces more melatonin it feels like time to get some sleep. If you find yourself wanting to hit the hay an hour earlier than usual after you have turned the clock back, give your inner clock time to adjust to your new rhythm. Don’t fight the feeling. When your body tells you it’s bedtime at 10:00 pm when you normally turn in at 11:00, go with it for a couple of nights and then try delaying by a few minutes each night until you get back to your regular schedule. If you like to exercise outdoors, try moving your workout to early morning to get in some extra daylight and avoid missing your regular fitness routine. If you miss the extra time in the sun you once looked forward to after work, when the weather is nice dine al fresco at lunchtime or take a brisk walk around the block to break up a long afternoon at your desk. If you begin getting up earlier than usual to get in extra sunlight time, be sure to adjust your bedtime schedule so you don’t experience an ongoing sleep deficit. Less sunlight exposure can trigger a vitamin D deficiency. The best source of vitamin D is the sun. When your bare skin is exposed to sunlight, vitamin D is made from the cholesterol in skin cells. As the time you spend in the sun declines in the late fall and winter, you are at higher risk of developing a vitamin D deficiency. Adults need 600 international units (IU) of vitamin D each day (800 IU if you’re over age 70). 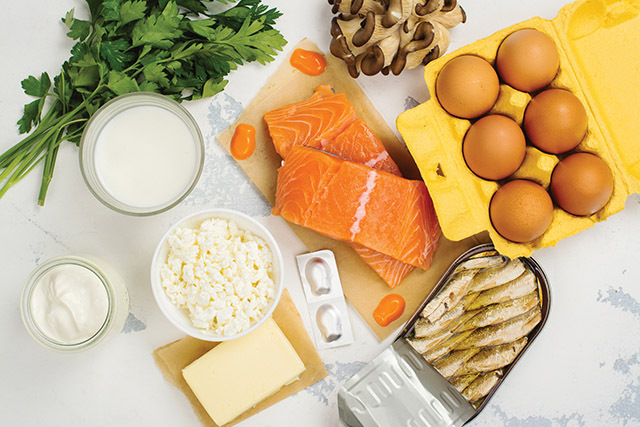 There are only a few foods that naturally contain significant levels of vitamin D, and you would have to eat them nearly every day to reach the recommended daily amount. A few of these are swordfish, salmon, canned tuna, beef liver, egg yolks and sardines. Many breakfast cereals and dairy products are also fortified with vitamin D. Because sunshine can be unreliable and it is so difficult to get adequate levels of vitamin D from food, many people take dietary supplements to augment what they are missing from sunlight and their diet. Low levels of vitamin D in the blood can make you feel tired and sap your energy. When your time in the sun is reduced after DST, unless you find a way to replace it through your diet or dietary supplements, a vitamin D deficiency could be contributing to your lack of get up and go. The good news is that despite the dark days immediately ahead of us, after winter solstice, December 21st this year, the days will begin to get longer again. By that time our inner clocks will have adjusted to the seasonal changes, and after the rush of the holidays, we can settle into our winter pattern of waking and sleeping. Eventually, we can look forward to more hours of sunlight, later sunsets, and before we know it…it will be time to “spring forward” to daylight saving time again. Good grief!